Foster imaginations and spark creativity this school year. The 2018–2019 offerings reflect TIFF’s commitment to providing accessible, inclusive, and engaging programmes and services tailored to you and your students’ curricular needs. From exhibitions, to presentations, to workshops, TIFF Bell Lightbox provides you with innovative ways to engage with the moving image that extend beyond a class trip to the movies, such as through screenings and hands-on workshops led by industry professionals. TIFF School Programmes are available on Tuesdays, Wednesdays, Thursdays, and Fridays from October 2, 2018, to June 21, 2019. Looking to book your class for one of TIFF's school offerings? Please fill out the Educator Booking Inquiry Form and someone from our Youth Learning team will get back to you shortly. Get the latest information on learning opportunities for educators and students at TIFF by signing up for our mailing list at tiff.net/subscribe. Looking to book your class for one of TIFF's school offerings? Choose from a range of half-day and full-day hands-on workshops and screenings! TIFF School Programmes are offered between Tuesdays and Fridays, from October 2, 2018, to June 21, 2019, unless otherwise indicated. Programmes are subject to availability and change. Bookings open June 4, 2018. To submit a booking request, please complete our Educator Booking Inquiry Form. TIFF Pocket Fund is a subsidy initiative created to ensure that children, youth, and families from all circumstances have the opportunity to enjoy the educational and cultural experiences offered through TIFF. See our Financial Assistance program. TIFF Bell Lightbox is committed to offering an equitable and accessible learning environment for students and teachers. Accommodation requests must be submitted in writing and in advance. School programming that can be adapted will be modified with teacher guidance in an effort to best support the needs of all learners. Phonic Ear Assistive Listening Devices (ALDs) are available and compatible with any school. Please note: Booking requests should be made a minimum of six weeks in advance of your desired date(s). Once a booking request has been submitted, educators will be contacted by a member of the TIFF School Programmes team within three school days to confirm programme availability. School programming can be booked for classes from Grade 9–12, and for groups of high school educators. 1. Programme Hold: A reservation confirmation form must be completed and returned to TIFF by the teacher who has booked the event. If the completed form has not been returned by the specified date, TIFF reserves the right to release the reservation. Following return of the confirmation form, a deposit will be required. 2. Fees: For workshops and private screenings, the minimum participant numbers must be met. If a group consists of fewer than the minimum number of participants, the group must pay for the minimum number. For Spring Forward and the TIFF Youth Film Series, groups must pay for the minimum programme fee, which is 50% of the total number of participants booked. TIFF recognizes that class attendance will fluctuate. The final fee will be calculated based on the total number of students present, or the minimum number of participants required (as indicated on the confirmation form) — whichever is greater. Payment is due in full before the start of each programme. Payment may be made by school-issued cheque, credit card, or cash. Cheques should be made payable to Toronto International Film Festival Inc.
3. Deposits: A deposit of 50% of the total estimated fee will be required to hold all bookings. The deposit is refundable up until 20 schools days prior to the programme date. 4. Cancellations: In the event of cancellation, TIFF must receive written notice no less than 20 school days before the scheduled programme, or the minimum fee will be charged. Bookings made less than 20 school days before the date of the visit are considered confirmed at the time of booking. For groups that cancel with less than 20 schools days’ notice, TIFF will retain their deposit, if paid, or invoice them accordingly. For schools scheduled for any film programme part of the TIFF Youth Film Series or for a private screening, no cancellations will be permitted after signing and returning the booking confirmation form. Cancellation due to severely inclement weather or force majeure is exempt. 5. Late Arrival: If a class arrives more than 15 minutes late for a scheduled programme, TIFF reserves the right to make alterations to scheduled programming in order to accommodate the change in schedule. The Pocket Fund is a subsidy initiative created to ensure that children, youth, and families from all circumstances have the opportunity to enjoy the educational and cultural experiences offered through TIFF. 1. Submit one application per school for the 2018–2019 school year via the online form. The deadline is February 11, 2019, but schools are encouraged to apply early to ensure booking opportunities. 2. Results will be delivered within three weeks of the application receipt date. Schools are encouraged to apply at least six weeks in advance of a desired visit. Once results are delivered, all classes from a qualified school will have access to a certain number of subsidized workshops and screenings over the course of the current school year, as outlined in the results package. This limitation is to ensure equitable subsidy and booking opportunities across all schools. Requests for workshops and/or screenings beyond those offered in the original results package will be considered on a case-by-case basis. 3. Fill out our booking inquiry form online to request workshop dates, and be sure to indicate that the class is coming from a qualified school. Find the Pocket Fund application form online at tiff.net/pocketfundapp. Find the Educator Booking Inquiry Form online at tiff.net/bookinginquiry. TIFF School Programmes are supported by the Slaight Family Foundation Learning Fund. TIFF offers hands-on filmmaking workshops to enable students to better understand film-production concepts, recognize the application of these skills in media they are familiar with, and use this knowledge to better express themselves creatively. TIFF School Workshops are accompanied by teacher resources aimed to reinforce and solidify students’ learning outcomes, elevate the engagement of their experience, and ultimately empower them to pursue their own creative endeavours. All teacher resources are connected to the Ontario Curriculum. TIFF Bell Lightbox is committed to offering equitable and accessible learning environments for students and teachers. School programming will be modified, with teacher guidance, in an effort to best support the needs of all learners. In this active and engaging workshop, students will learn the techniques and technology that make pixilation possible. Students will work with professional makeup artists as they experiment with the tools and techniques required to create realistic makeup effects used in film. Students will work as sound designers and film composers, using everyday objects and tablet technology to transform silent-film clips. Students plan, pitch, and shoot a short documentary that speaks to their own experience or an issue important to them. Working as a team, students will write, pitch, and shoot a short film. The films screening at TIFF Bell Lightbox enable students to recognize key themes, learn about the historical context of the film’s setting, and develop media literacy skills to appreciate new perspectives and diverse representation in the world of cinema. In 2018–2019, TIFF is committed to developing educational screenings and further resources that foster a deeper connection to 21st-century learning and creativity, shaped around critical thinking and media literacy. Please note that each educator will receive one complimentary supervisor ticket per 10 paid student tickets. Get the latest information on Learning Through Viewing opportunities at TIFF by signing up for our mailing list at tiff.net/subscribe. Add a screening from one of our curated film selections and further your students’ skills in critical viewing and film analysis. When possible, TIFF offers school groups private screenings of newly released films and much-loved classics. The TIFF Youth Film Series provides a compelling selection of features and shorts that tell powerful stories and spark powerful conversations. A visit to TIFF Picture Palace encourages students to utilize filmmaking tools to enhance their own skills in critical analysis and media literacy. 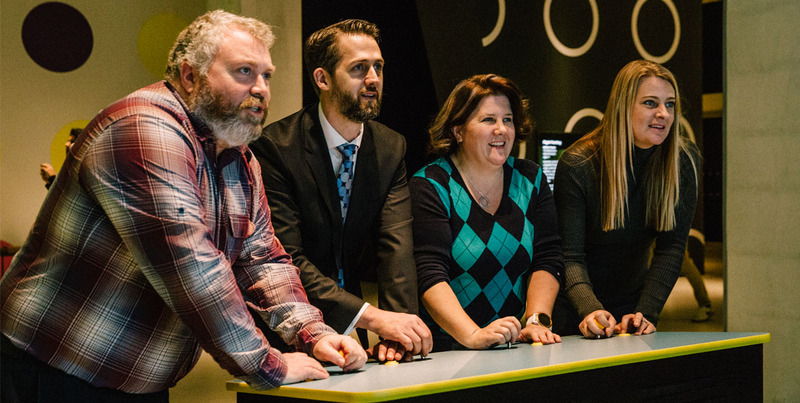 Through self-guided exploration of hands-on, interactive stations, they will experience the building blocks of cinema and discover how these fundamentals inform the storytelling process. Classes will witness how creators come together in front of and behind the camera to transform the way people see the world through film. Available to school groups from March 5 to June 21, Tuesday to Thursday, 10am–2pm. All school groups must be booked in advance to confirm capacity. School groups may range from 8 to 100 people in size, subject to availability. Pair a visit to TIFF Picture Palace with a workshop, screening, or tour to build a half- or full-day experience. Check back for special TIFF Picture Palace screening options! The TIFF Jump Cuts High-School Filmmakers Showcase celebrates the innovative films being created in classrooms across Ontario, spotlighting the most creative and promising films — regardless of previous filmmaking experience. This high-profile event offers classes the opportunity to see their short films on the big screen at TIFF Bell Lightbox, making it the ideal way to encourage filmmaking in your classroom and to celebrate your class’s filmmaking achievements. 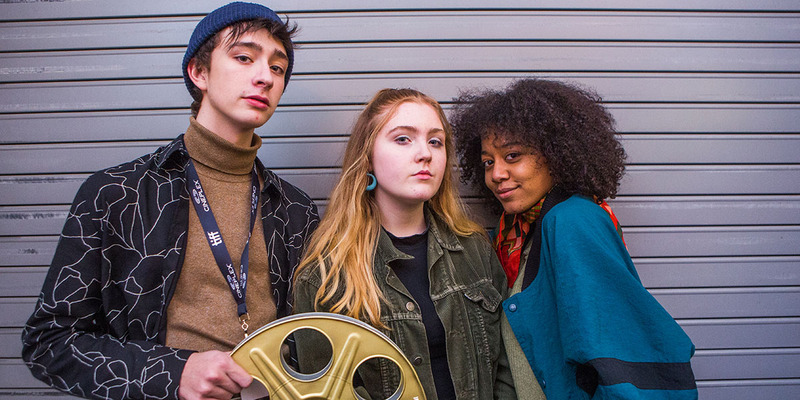 Programmed for youth by youth, this festival features the best in film from around the globe, along with an exciting slate of special guests; the Young Creators Co-Lab, which features a full day of Industry programming; and the 24-Hour Film Challenge. Most screenings are free for anyone under 25 and are accompanied by Q&A sessions with filmmakers. 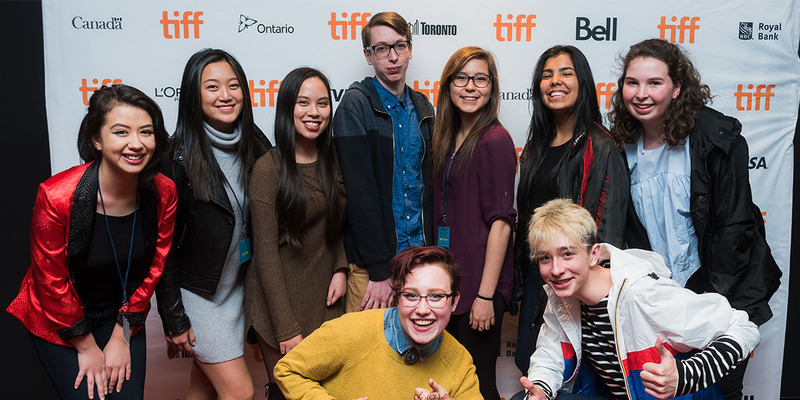 Founded in 2010, the TIFF Next Wave Committee consists of a group of 12 students, ranging in age from 15 to 18 and selected from a competitive pool of hopeful young film enthusiasts. Hailing from specialized arts institutions, public schools, and private schools across the Greater Toronto Area, the Committee members’ tastes, opinions, and critical voices are as diverse as they are strong. Some are aspiring filmmakers, writers, and actors; some are interested in learning the business of film and festivals; some like planning cultural events; and some just love movies. All have demonstrated a spirit that has impressed TIFF leaders. 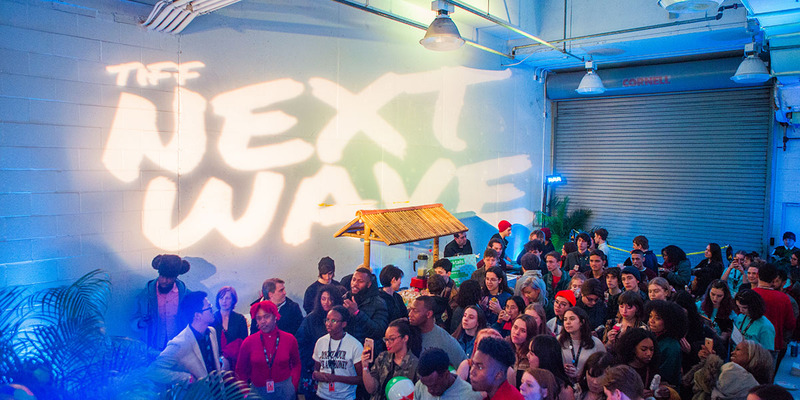 With the guidance of TIFF staff, the Committee is charged with planning some major teen-oriented events at TIFF Bell Lightbox, including the TIFF Next Wave Film Festival. The TIFF Next Wave Film Festival is supported by the City of Toronto and the Ontario Arts Council. In addition to your school workshop or screening, add a tour of TIFF Bell Lightbox or the Film Reference Library at no additional cost! The Film Reference Library is the ultimate, FREE resource for film lovers. Learn the history of TIFF Bell Lightbox and the surrounding areas in the heart of Toronto’s Entertainment District. TIFF recognizes the need to address geographic barriers for schools across the Greater Toronto Area by offering select programmes that can be held in-school. TIFF now brings a seven-week filmmaking programme to your classroom. Hour-long, in-school discussions on the representation of First Nations peoples in film, culture, and the media. Align your classroom with the latest trends in media education and ensure your students gain important 21st-century learning skills from one of our many workshops. TIFF’s Professional Development programme provides educators with the tools to customize their own learning experience. Educator workshops can offer instruction on teaching about film, introducing students to filmmaking, and integrating critical film viewing into classroom discussion. They can be facilitated at TIFF Bell Lightbox or at conferences, meetings, and schools in the Greater Toronto Area. Workshops can be booked for a minimum of 15 participants. Private film screenings are also available for a minimum of 30 educators. All student workshops can be adapted for educators. Tours of TIFF Bell Lightbox and the Film Reference Library can be added to any Professional Development workshop, subject to group size and space availability. DID YOU KNOW? All student workshops can be adapted for educators! To customize a workshop to meet your needs and the size of your group, contact learning@tiff.net. Catering services are also available for an additional fee. Educators learn about the fundamentals of film — including storyboarding, editing, shot composition, and special effects — in order to deepen the discussion of film with their students. Using a series of short-film examples, educators explore how cinema can be used to begin theme-based discussions. Film-based exercises linked to the Ontario Curriculum will be provided. Modelled after the popular Film in a Day workshop for students, teachers work with a professional filmmaker to pitch, write, and shoot their own film — all in one day.